An indoor swimming pool & deck in hotels, health clubs, country clubs and other public or private member accessible facilities not only need to look good, but need to provide the best non-skid surface when wet to reduce the risk of slips and falls. 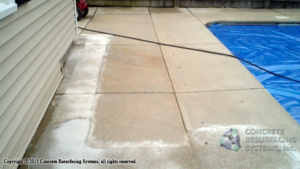 Tile pool decks may meet all building codes and look good, but can become increasingly slippery over time as bacterial slime and mold grow in the surface of the concrete, (even some brand new tile decks are slippery the first time they get wet and are walked on with bare feet). 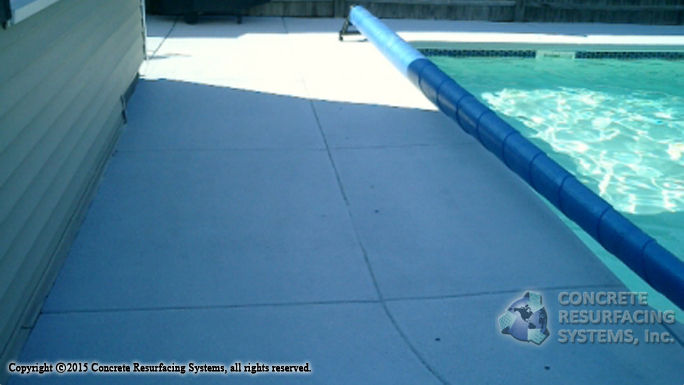 For commercial swimming pools, locker rooms and shower areas in hotels, health clubs, schools and other indoor water sports facilities, a non-skid concrete can be applied over indoor pool decks and other wet foot traffic areas. 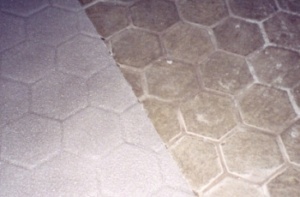 Apron, coping, steps and other areas may be resurfaced in one or more colors. 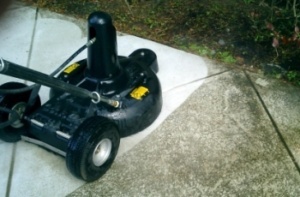 Repairs to floor can be performed prior to resurfacing leaving a uniform, solid, no-slip surface over ceramic or natural stone tile, stamped concrete, painted concrete, and other extremely slick surfaces. We use commercial / industrial quality epoxy pool paint to coat the inside of concrete and gunite pools. Much lower cost when compared to replacement options. Installation with minimal disturbance and inconvenience. Applications from 1mm coatings to 6 inch solid pours. Insulation value both cool and warm. Compressive, flexural, tensile and shear bond adhesion that is twice the strength of ordinary concrete. Endless colors, designs, textures and patterns. Endures northern freeze-thaw cycles and desert heat. Lasting solution to high-traffic areas.